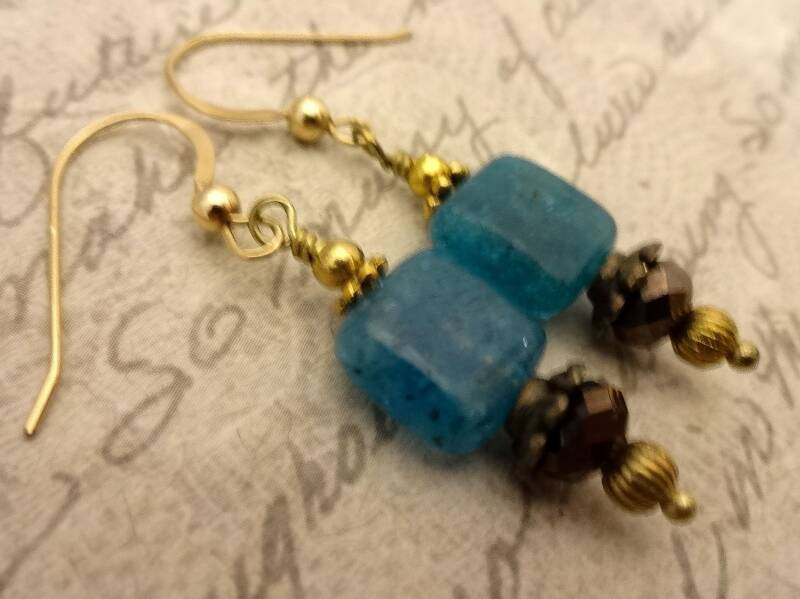 Apatite is a beautiful dark aqua gemstone that brings to mind Caribbean beaches and aqua blue waters. 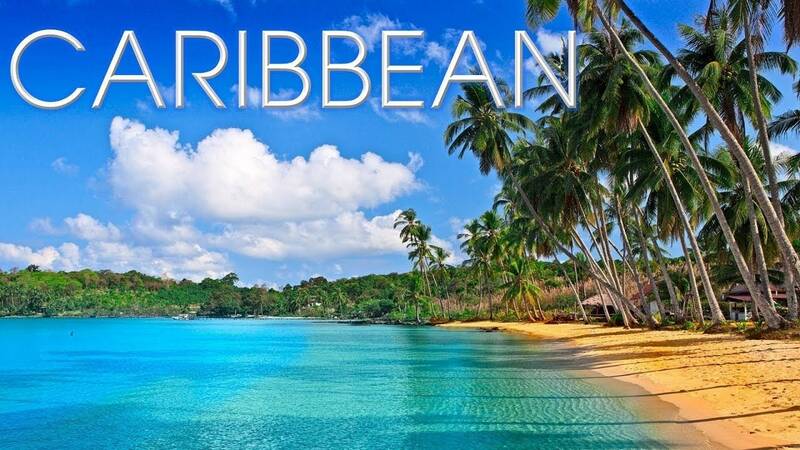 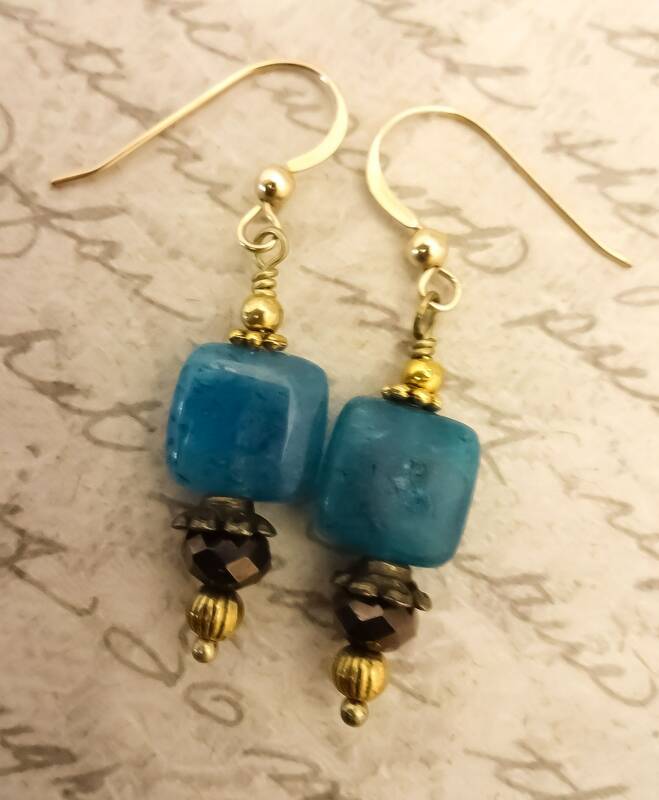 I'm in the Midwest with no hope of a tropical getaway, but I can frolic in the white sand and ocean spray in my mind with the help of Caribbean blue jewelry! 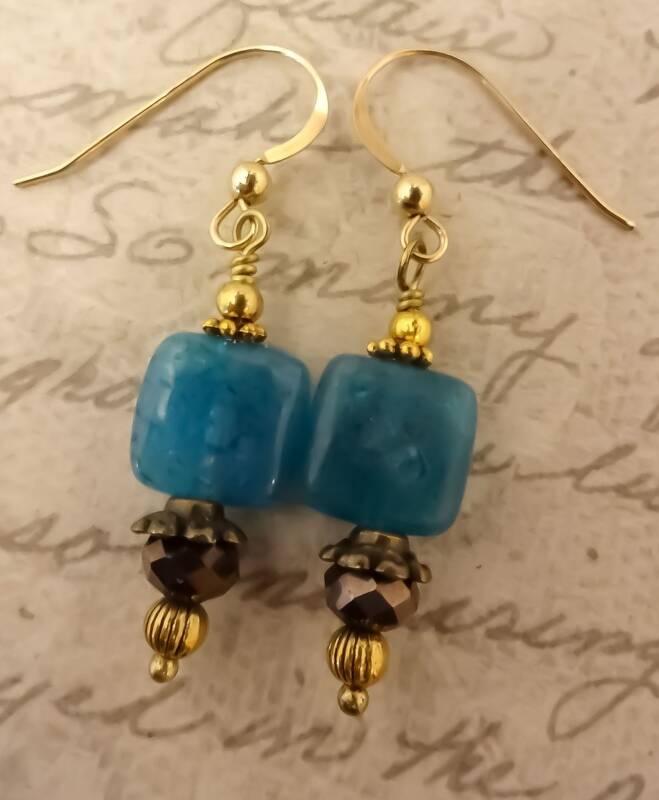 I've been in love with this gemstone for a few years now, and have a small supply of beads in different shapes that I've been hoarding for myself. 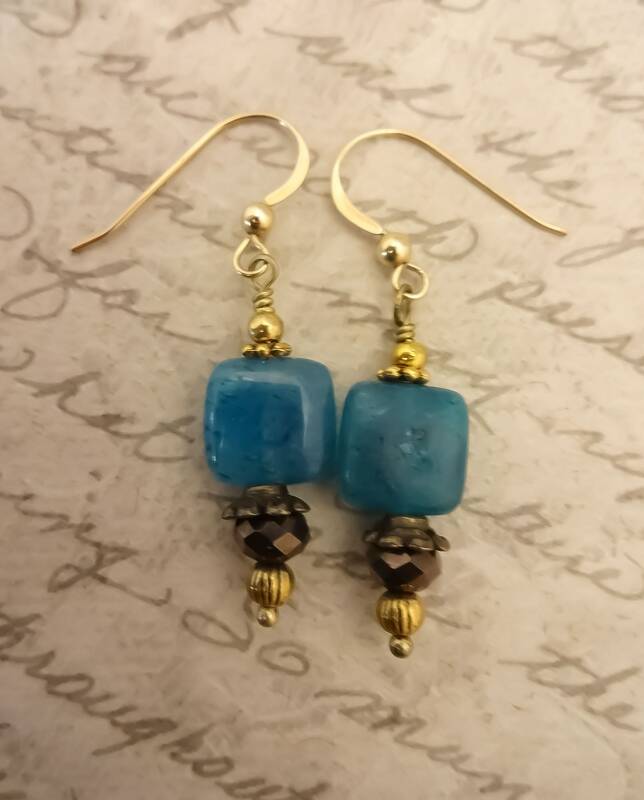 A few months ago when I contemplated a collection of related jewelry, I couldn't resist using splashes of my current favorite stone. 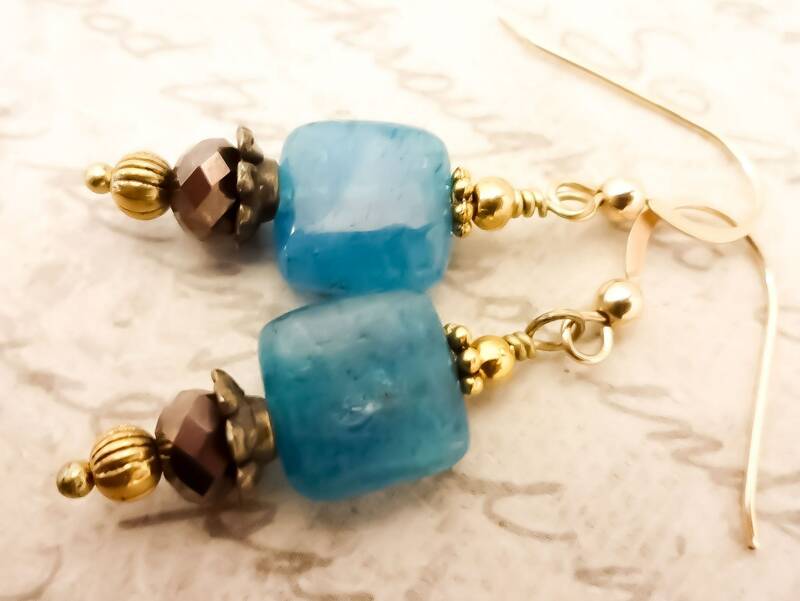 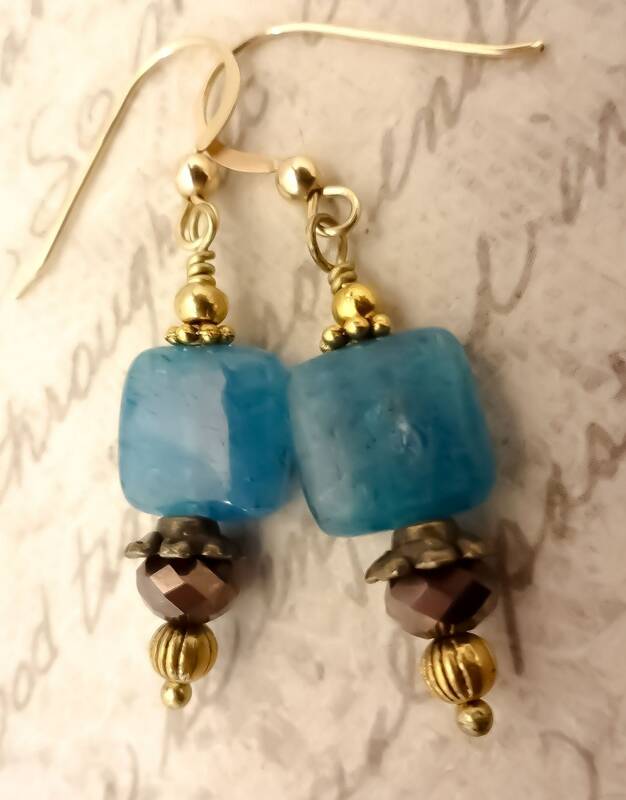 These earrings feature Blue Apatite flat squares about the size of dimes. 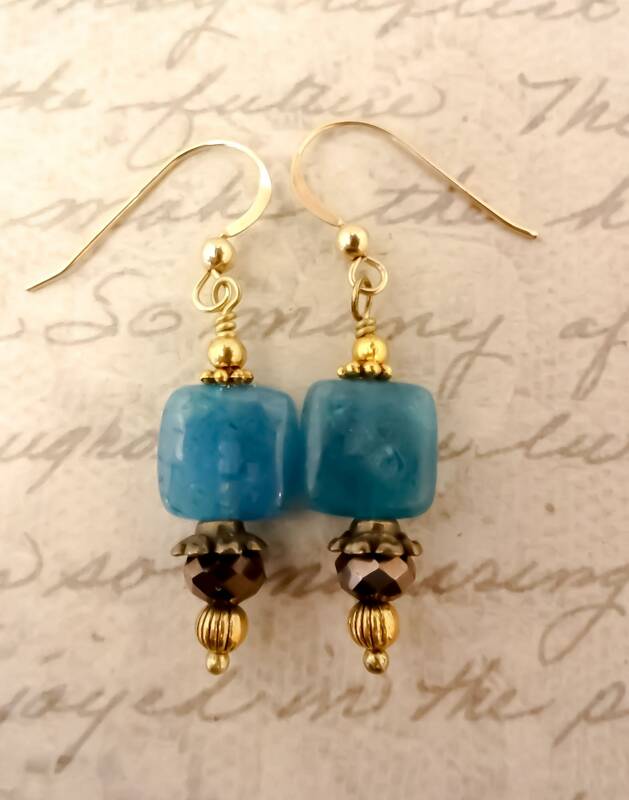 Sparkly brown Czech glass rondelles separated by antique brass bead caps keep them somewhat grounded with shiny gold accents on the top and the bottom. Finished with 14k Gold Fill French hook ear wires just as I imagine the golden sun kisses those Caribbean seas. 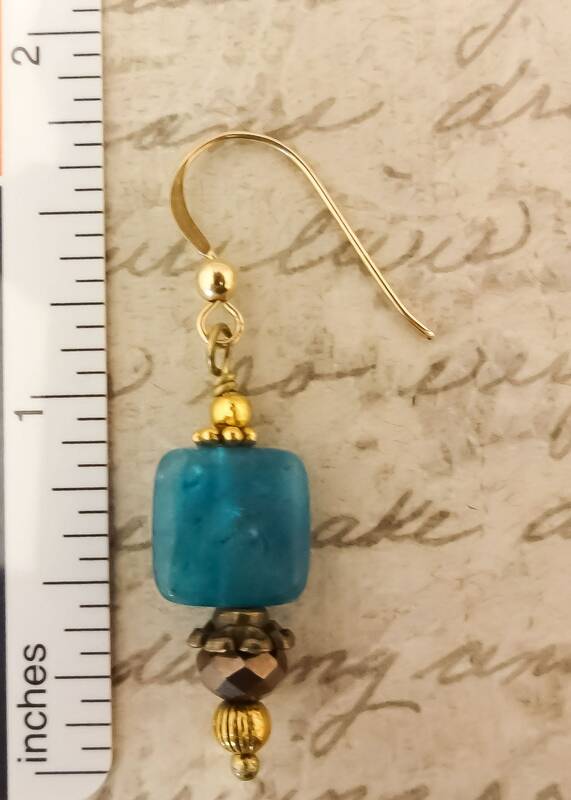 The length from the top of the ear wire to the bottom golden bead is about 1.75 inches.